On a recent trip to Normandy, I was excited to have the chance to see the world heritage Bayeux tapestry. I was mesmerized by this amazing work of art and I will focus on it specifically in a blog post soon. It reminded me of my own experiments with natural dyeing I did as part of an art project in the 1990s. 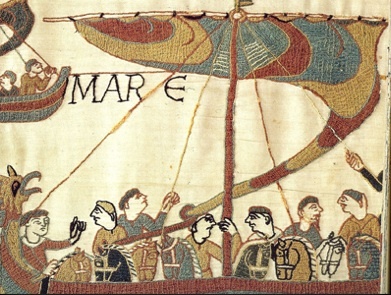 The fine woollen threads used in the Bayeux tapestry are limited to ten colours only. 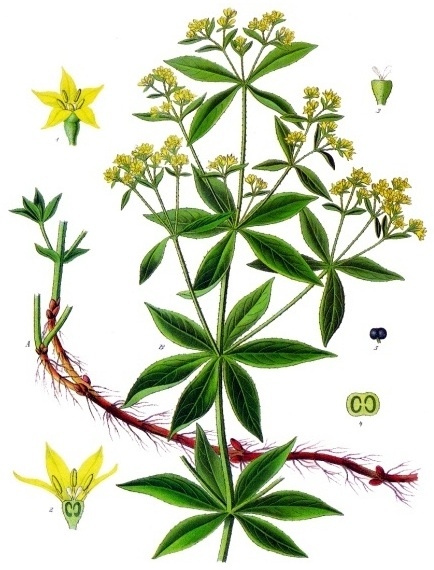 Woad, madder and weld were the three plants employed to dye the threads producing a variety of reds, yellows, blues and greens. The practice of dyeing using natural fibres and dyes sourced from plants had always interested me. I collected berries, leaves, gorse, onions skins and seeds as dyestuffs, experimented with others more on natural fibres and recorded my recipes! I printed my findings on floral handmade textured pages, which were bound together into a notebook with raphia. Here is a very short extract from it. The process of dying consists of three main stages: washing, mordanting and dyeing. […] Mordants are both natural and chemical substances that cause the natural dyes to bond with the cloth, preventing the colour from either fading with exposure to light or washing out. […] Common natural mordants are roots from the madder plant, fir-club moss, wood ash, oak galls or burnt seaweed. […] The dye substance is gathered in the dyeing pot then covered with cold water. The dyeing time can vary from 40 minutes up to 2 hours or more depending on the desired degree of colour. […] There is a considerable evidence that dyeing methods are more than 4,000 years old and that natural dyeing was once a key craft in international trade, household life and local commerce […] During the early part of the 20th century, a revival of interest in arts and craft, with the Art and Craft Movement led to the old methods of dyeing being rediscovered. The English artist William Morris was a major advocate of the use of traditional methods and natural dyeing was one of the many crafts he practiced. […] Dyeing has been in practice in Ireland since the early Celtic times. Lillias Mitchell mentions an ancient garment known as léine in Irish, that was worn during that period. “It had wide hanging sleeves and was usually dyed yellow and known as the saffron shirt.” Another remnant of past activity is a dye workshop situated on the island of Inishkea, off the County Mayo coast. It dates back to the late 7th century when the practice of extracting purple dye from the live sea fish purpura lapillus was performed extensively.